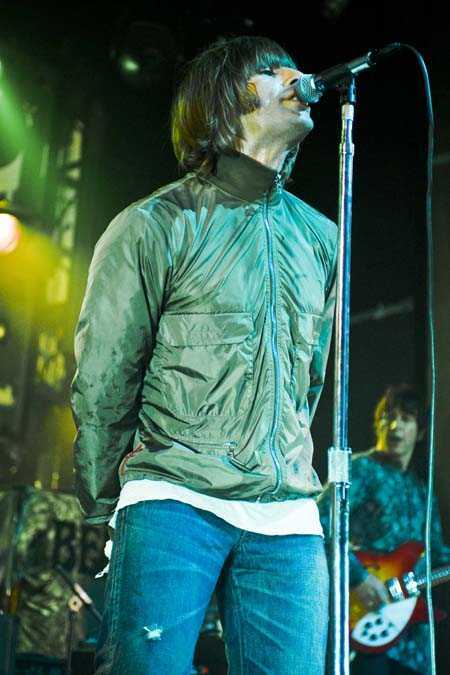 If you’re reading this, you’re probably already familiar with the story behind the formation of Beady Eye. If you’re not, here’s the short, short version: in the Fall of 2009 the Oasis brothers, Noel and Liam Gallagher, get into a heated argument, which may or may not have involved the destruction of one or more musical instruments, Noel quits the band, Liam and the other band members decide to carry on. Fast forward to the spring of 2011 when what essentially boils down to Oasis minus Noel Gallagher drop their debut album, Different Gear, Still Speeding, under the new moniker Beady Eye. Ok. You’re back. Well, if you’re as a big of a baseball stat nerd and music nerd as I am, Klosterman’s article is like the nexus of nerdy awesomeness. The only way it could have been better for me is if he had somehow managed to shoehorn into his article mention of that episode of the original Star Trek series in which the crew of the Enterprise lands on a planet whose culture was influenced by the Roman empire. Advanced baseball metrics, music, sci fi and ancient history. Serious nerdgasm alert. Ahem… sorry, had to go change my underwear.